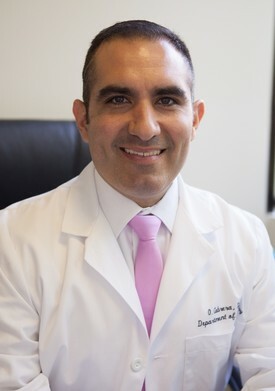 Dr Cabrera, originally a native of Florida, resides in Greece, NY. He has a lovely wife, Christa a native of Rochester, and four wonderful children: Olivia, Annabella, Christian, and Roman. He graduated from the United States Military Academy at West Point and served 6 years as an Armor Officer in the 4th Infantry Division. His experience laid a foundation for success as he went on to graduate at the top of his class at Howard University College of Dentistry. He later finished his residency between the University of Florida and Rochester General Hospital where he learned advanced surgical procedures, IV sedation, and began his implant training. Dr Cabrera is diligent in staying abreast of the most current techniques and believes in practicing evidence based dentistry, which is why he chose to complete his Implant Training at the Misch Institute of Implantology. Dr Cabrera treats every aspect of dentistry including restorative, prosthodontics, pedodontics, implantology, endodontics, oral surgery, periodontics, orthodontics, and TMD. Dr Cabrera is a true gentleman that loves to take time with his patients. His deep sense of compassion and warm chairside manner stems from his intimate relationship with the Lord. He loves dentistry, but more importantly loves to serve Christ and hopes that his gentleness, care, and treatment can reflect his love for God. 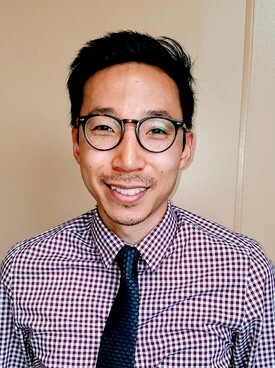 Dr. Choi was born and raised in Los Angeles, California. He received his undergraduate degree from UC Berkeley and graduated from Loma Linda University School of Dentistry (California). After getting married to his wife, Hanna, he moved to Upstate New York to complete his general practice residency at St. Joseph’s Hospital in Syracuse, NY. Both Dr. Choi and his wife now call Rochester home and are finally getting acclimated to the cold winters. Dr. Choi’s main goal is to make every patient feel like they are at home and to treat everyone like family. He strives to stay up to date with all of the new advances in dentistry and provide exceptional work. When he is not practicing dentistry, he likes to spend time with his wife and puppy, watch and play a variety of sports, and just relax with a good show or movie. Dr. Choi is thrilled to join the GFDI family and is happily accepting new patients! Our dedicated and motivated staff has one primary goal—your utmost comfort! 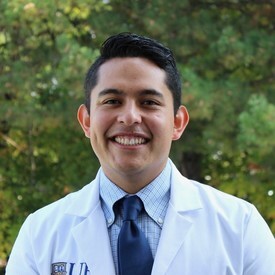 Dr. De los Santos attended dental school at Montemorelos University in Mexico. He also completed a 2-year Advanced Education Degree in General Dentistry at EIOH University of Rochester, as well as 1 year of General Practice Residency at EIOH University of Rochester. Dr. De los Santos enjoys every aspect of dentistry; from oral surgery to esthetic dentistry - always striving to meet the patient needs, treating everybody as a VIP. He has been involved in mission trips to India, Central America, and South America. Dr. De los Santos enjoys spending time outside with his wife, Berenice, and his dog Boston. He is a big fan of sports, whether playing them or watching. He also loves to play the piano and listen to classical music.